Lusting after large diaphragm condenser microphones has become a national pastime. Newbies devour the recording magazines and read about this artist and that artist recording to vintage U-47’s or Tele 251’s and believe that they need those same mics, (or too often a design copy from China) to get a “hit” record. However, the acoustic conditions that exist in the average home studio or even small pro studio do not lend themselves to the wide patterns and extreme bandwidth of high end LDC’s in the same way that high end professional studio conditions do. LDC’s function best in large rooms with sufficient isolation and good acoustics. They also work best with experienced singers able to “work” the mic for best results. I get a lot of requests for advice from home recordists who have purchased these kinds of mics and then end up with street noise, equipment noise, headphone leakage, rumble, pops and unwanted proximity effects. They will inevitably end up fighting the mic’s natural tendencies with low freq roll off switches, pop filters, blankets on the walls, EQ and compression/limiting. Argg. By the time they are done, the mic can hardly recognize itself and certainly does not do justice to it’s well earned reputation. So what is a guy or gal to do about their large diaphragm condenser microphone? Let’s first take a look at the situation as a whole. Using high end LDC’s are akin to driving a Porsche 911 GT3. Yes, it is a pinnacle of industrial refinement. Yes, it will take you from 0 to 60 in the blink of an eye. But be careful with that gas pedal or you might end up in the bushes. LDC’s typically have extended frequency response. That means low end extension that reaches down to 20 hz with near linear response and then a sharp drop off. If you are tracking a vocal in a home less than a mile from a truck or airplane route, I guarantee you, there is rumble in your mic. If you are using typical near field monitors and no subwoofer, you cannot hear that rumble. But again, trust me, it will show up by modulating your compressors and doing other nasty things to your mix. Many high end LDC’s have minimal wind screens. That is one way they get the clarity. However, they are designed for professional singers, and putting one in front of someone not versed in how to properly use a mic, and you will have thunderous pops and distortion. And it is not a simple thing to just slap a pop filter in front of a mic and still maintain that clarity. The process goes a bit like this. Get the pop, place the pop filter, lose the presence, EQ the top, suffer phase smear, compress to get gain and lose dynamics. Argg. High end LDC’s typically have fairly wide cardioid patterns. That means that they are very forgiving when a vocalist moves around while singing. But that also means that they pick up as much fan noise as vocals when used within six or eight feet of a computer. There are a number of absorptive panels on the market made to try and isolate a vocal, but pointing a mic at a hard wall, with one of these fiberglass panels between it and the room, means that the mic is picking up lots of wash from the wall. Again, argg. Live vocals are created in the most unnatural and unforgiving environment possible for a microphone. 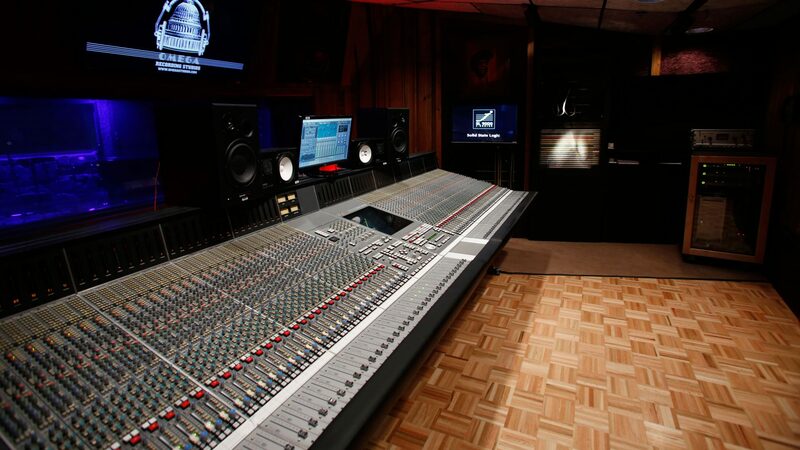 We even have a course in our audio engineering school focusing on this tricky environment. Even though in-ear monitors are becoming very popular, most stages are still high volume, feedback prone environments. Singers stuff their faces into their mics trying to squeeze the last drop of gain before feedback, just daring the mic to pop or go into distortion and challenging the grill design to maintain fidelity and protect the capsule. All the while, live sound mixing systems and speaker designs continue to improve, placing higher fidelity challenges and requirements on live vocal mics all the time. The audience demand for the artist to deliver studio quality vocals in these extreme conditions, means that every plug-in effect used in the production of the album will be employed in the shows and when the vocal source does not stand up, the entire chain suffers. Manufacturers have responded with improved designs in both condenser and dynamic microphone designs. Condenser vocal designs from Neumann, Sennheiser, Audix, AKG and other manufacturers are built with more P pop protection and better clarity and detail than ever before. Dynamic microphones from Heil, Audix, Shure and others prove that the dynamic vocal mic is no longer a poor cousin to the condenser mic. My personal favorite mics are some of the PR series mics from Heil. These mics provide all the clarity, transient response and dynamic detail associated with high end condenser mics with the low noise, robust nature of large diaphragm dynamics. In the small studio and home studio environment, these live sound gladiators shine. They can be used up close with less fear of P pops and distortion, and their tight patterns mean that they can isolate a vocal more easily and not be vulnerable to equipment and air handler noise. Many of these mics have vocal contoured frequency responses, achieved through their fundamental design instead of EQ circuitry, and so do not exhibit some of the issues associated with cranking on an EQ just to get a decent vocal track. Handheld vocal mics can be easier to place in front of a singer/player and also can be more comfortable for them to get used to in the studio, since they already have some familiarity with live mics. I have been recording singer/songwriter guitarists for many years and one of my favorite set ups is to use a three mic configuration. I like a stereo guitar thing. Some may disagree with this but I love to be immersed in the intricate dance of fingers on strings and picks and strums that make up the acoustic guitar. But inevitably, adding a vocal to an acoustic guitar results in a lack of isolation and control from either the vocal or the guitar. Leakage from the guitar into the vocal mic and visa versa causes phase cancellation and the accompanying tone degradation. The vocal ends up sounding hollow and nasal and the guitar ends up with the vocal popping out of the left or right channel at inopportune moments in the song. One answer is to give up on the multi mic approach and just place a single mic in front, and treat the vocal and guitar like a single instrument. But this inevitably results in compromises in the tone quality of both instruments in my opinion. My answer for many years has been a vocal/guitar cluster setup that records the guitar in true stereo and isolates the vocal to retain a fat robust quality to both instruments. Starting with the guitar, I set up a pair of LDC instrument mics either in cardioid or figure eight patterns, just a few inches in front of the sound hole on the guitar facing toward the pick and neck sides of the instrument, 90 degrees off one another. On smaller sounding guitars, I will use a cardioid pattern to add a touch of proximity, but on bigger, deeper guitars I will go with two figure eight mics. With cardioid mics, I place the mics at the top of the sound hole facing down on the guitar and away from the vocal. With figure eight mics, I will position the 90 degree null point right up at the performers face and the 0 degree on-axis front of the mic pointed at the sound hole. 1. Set an approximately 6 inch by 6 inch piece of acoustic foam that I lay on top of the two coincident mics that further shades them from the vocal sounds from above. I recommend using a stereo mic rig and custom cutting the foam so that it snuggles over the mics with as much coverage as possible without getting in the way. 2. Then I place a live sound vocal mic facing up and away from the guitar and tucked in right above the foam shield. 3. I have both condenser and dynamic mics, in both cardioid and hypercardioid patterns. I point the cardioid mics more directly up and away from the guitar and the hypercardioid mic a bit flatter on to the singer. I advise the singer to sing out and over the vocal mic and not lean down into it unless that is their natural performing position. I seldom use a pop filter, but will also place the vocal mic so that the singer is singing PAST the mic instead of directly into it. The result of this setup is a fat stereo guitar, a clear and fat vocal sound and 3 to 6 db less interaction between the two than other more typical setups. In addition, you have more control over the balance of echo and effects that can be applied to either vocal or instrument. Trying to use a non optimized microphone on the vocal would result in a more difficult setup and potentially less successful result.